What Is a DYLIB File? A file with the DYLIB file extension is a Mach-O (Mach Object) Dynamic Library file that an application references during runtime in order to perform certain functions on an as-needed basis. The format has replaced the older A.OUT file format. Mach-O is a file format that's used for various types of files including object code, shared libraries, core dumps, and executable files, so they might contain general data that multiple applications may reuse over time. DYLIB files are normally seen saved with other Mach-O files like .BUNDLE and .O files, or even alongside files that are without a file extension. The libz.dylib file is a common DYLIB file that's the dynamic library for the zlib compression library. DYLIB files generally don't need to be opened because of the nature of how they're used. However, you should be able to open one with Apple's Xcode, either through a menu or by just dragging the DYLIB file directly into the program. 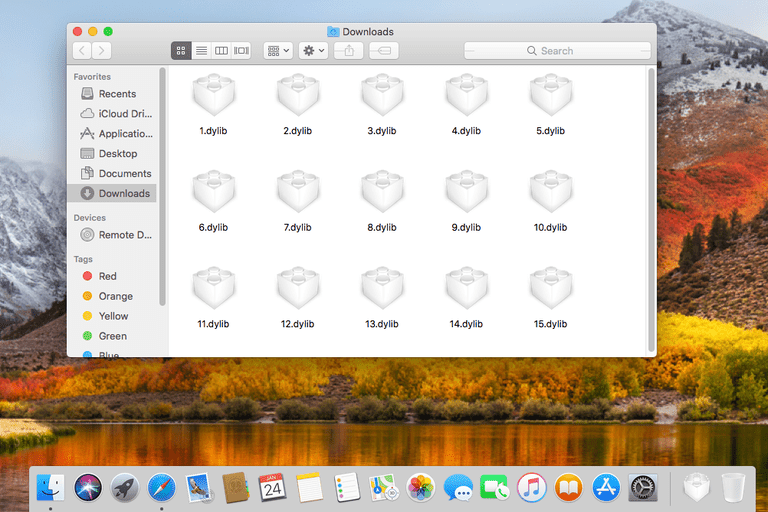 If you can't drag the file into Xcode, it's possible you may need to first make a Frameworks folder in your project that you can drag the DYLIB file info. We assume most DYLIB files are dynamic library files, but if you suspect that yours isn't and that it's instead used by a different program for a different purpose, you may try opening the file in a free text editor. If your specific DYLIB file isn't a dynamic library file, then being able to see the contents of the file as a text document may shed some light on the type of format the file is in, which may help you determine what program should be used to open that particular DYLIB file. While there are many free file converters that exist for the sole purpose of converting one file format to another, in order to use the file in a different program or for a different purpose, there isn't any reason to use one on a DYLIB file. There are lots of file types that shouldn't be converted to any other format because doing so wouldn't be beneficial. Like the case with DYLIB files, having the file in a different format would change its file extension which would make any applications dependent on it to be without the DYLIB's functionality. Just as equally ineffective would the DYLIB file be if converted in that the conversion process would change the contents of the file - again, disrupting any application that needs it. Though they're similar to DLL files under the Windows operating system, DYLIB files are only used on, and therefore usually only seen on, operating systems that are based on the Mach kernel, like macOS, iOS, and NeXTSTEP. Apple's Mac Developer Library has a lot more information on dynamic library programming, including how libraries are loaded when an app starts up, how dynamic libraries differ from static libraries, and guidelines and examples on creating dynamic libraries.